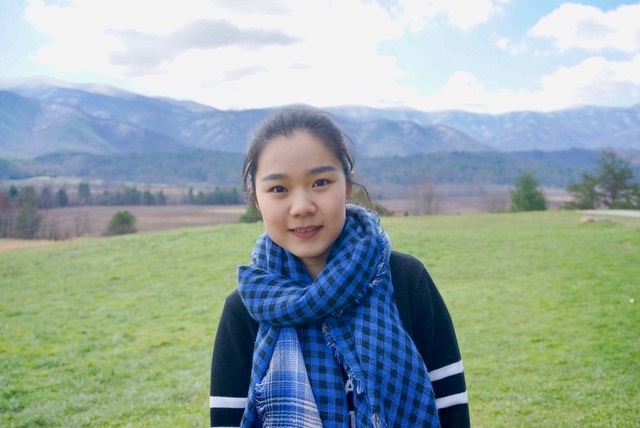 Tianyi Sun, a graduate research assistant at UTIG and a student at the Jackson School of Geosciences, has received the Outstanding Student Presentation Award for a presentation she gave at the 99th AMS Annual Meeting in Phoenix last month. This is the second time Tianyi has won the Outstanding Student Presentation Award. The AMS (American Meteorological Society) Annual Meeting is the world’s largest yearly gathering for the weather, water, and climate community. Tianyi presented at the 32nd Conference on Climate Variability and Change, a sub conference within the 99th AMS Annual Meeting. Tianyi’s presentation received commendation by the AMS Climate Variability and Change Program Committee, who selected her from a large number of high quality presentations. The award includes a certificate and cash prize. This year, Tianyi presented her research on climate variability in the tropical Pacific, in particular mechanisms that cause decadal variability in the El Nino-Southern Oscillation. A recording of the presentation titled, Impact of Stochastically Forced Tropical Pacific Decadal Variability on the El Nino-Southern Oscillation, can be found on the AMS website. Tianyi’s supervisor Yuko Okumura, a Research Scientist here at UTIG was delighted to learn her Tianyi had been awarded the prize again. “This is a significant accomplishment. It indicates not only that she is a good speaker but also that her research generated lots of interest,” she said. The AMS Committee on Climate Variability and Change (CVC), is responsible for promoting climate research and prediction, fostering the transfer of climate knowledge, and providing expertise on climate matters.